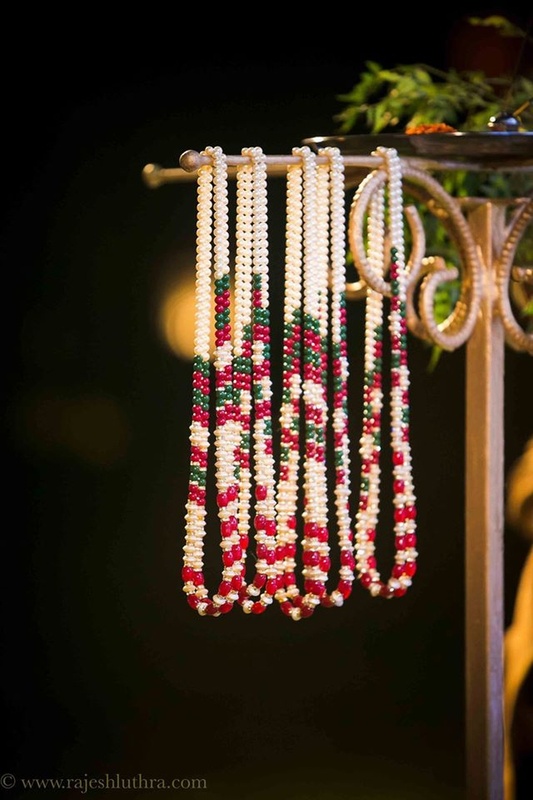 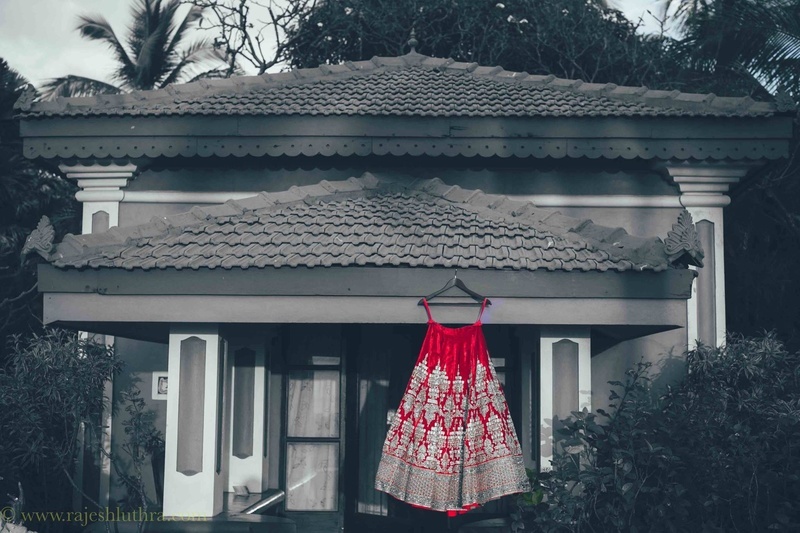 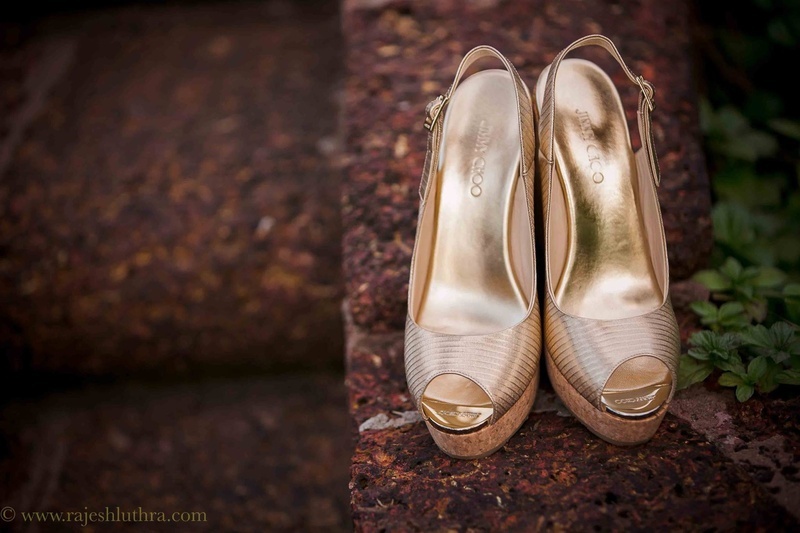 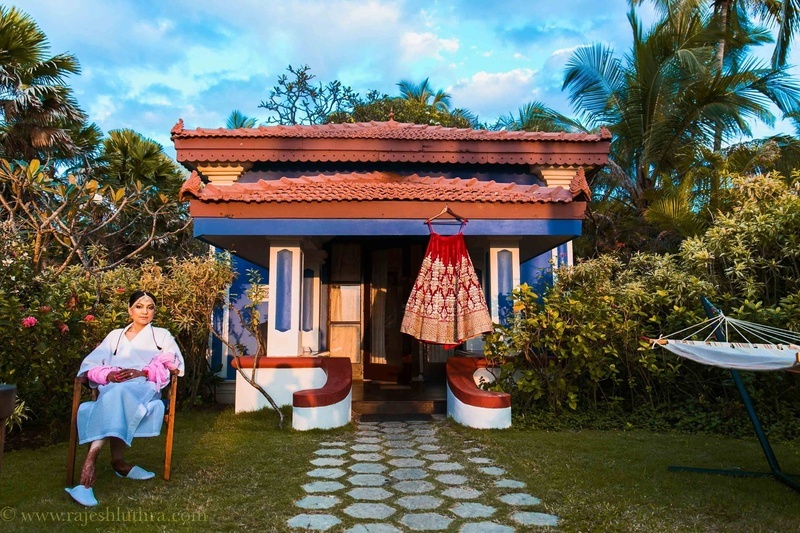 If you’re the kind of bride who practically stalks Sabyasachi, loves the beach, the waves and all things glam, then this destination wedding in Goa will serve as perfect inspiration for you! 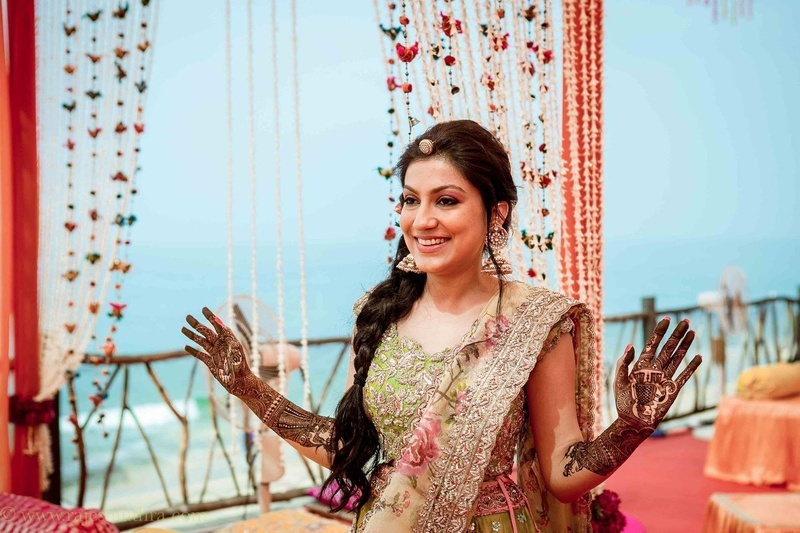 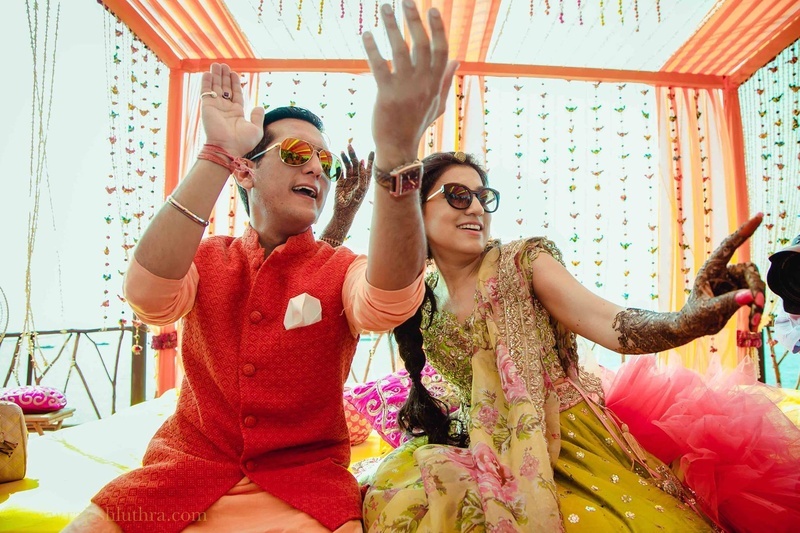 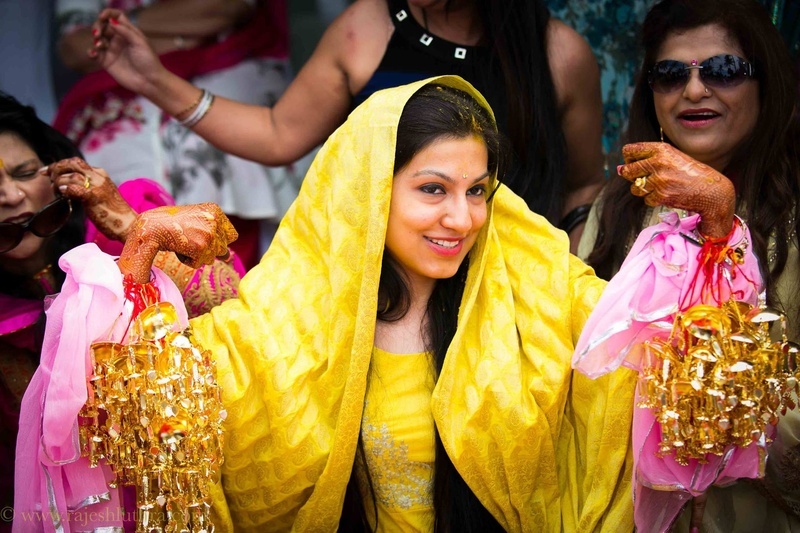 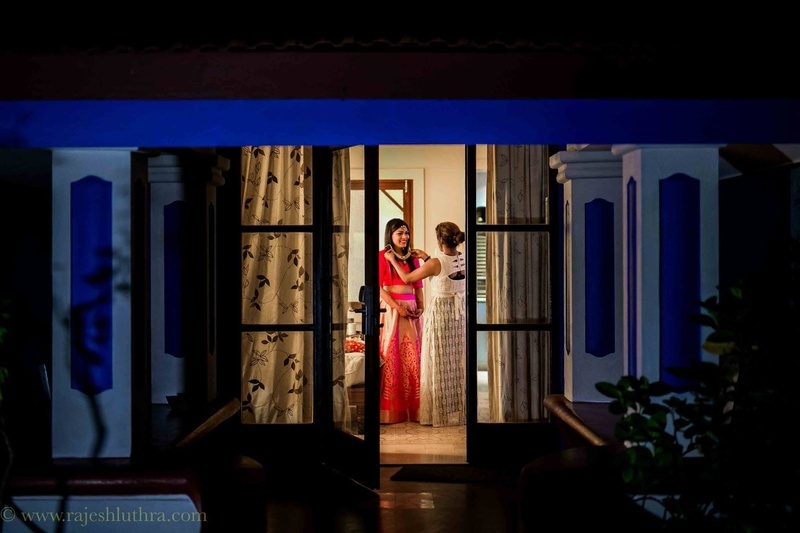 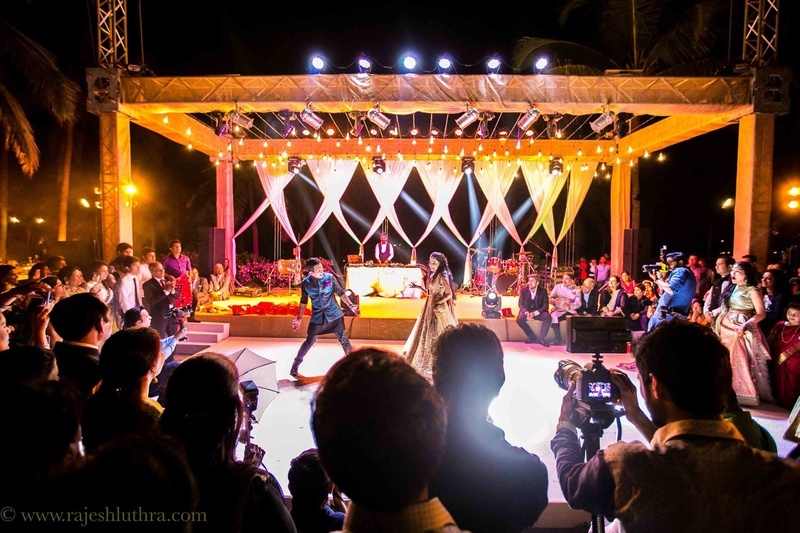 Himani and Akshay did the ideal with their destination wedding in Goa! 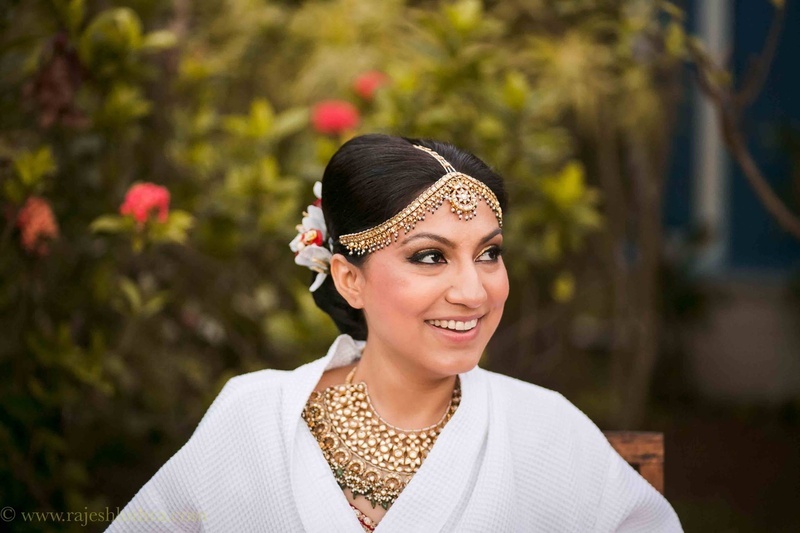 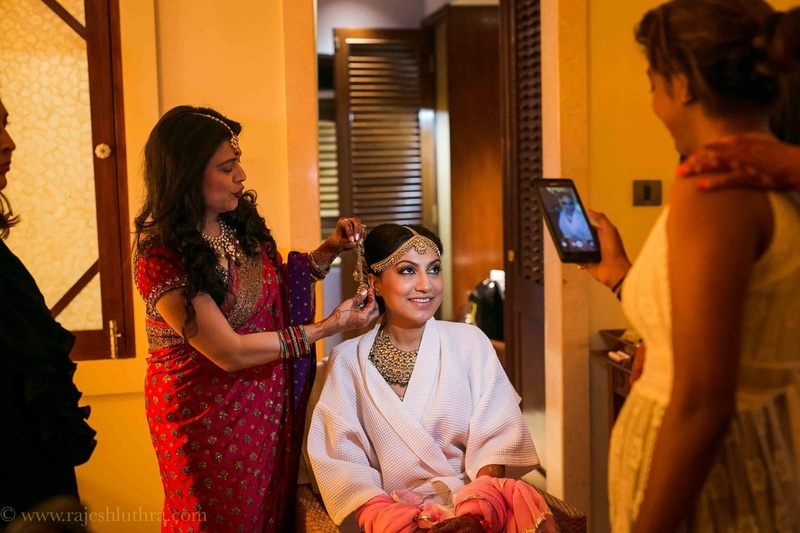 Held at Goa Marriott Resort & Spa, Panjim theirs was a wedding full of beautiful ideas, décor details and a bride who nailed each bridal look. 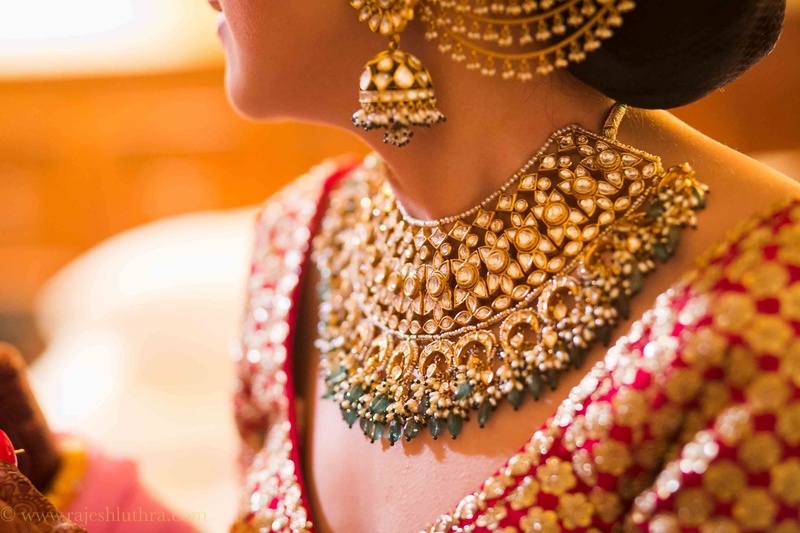 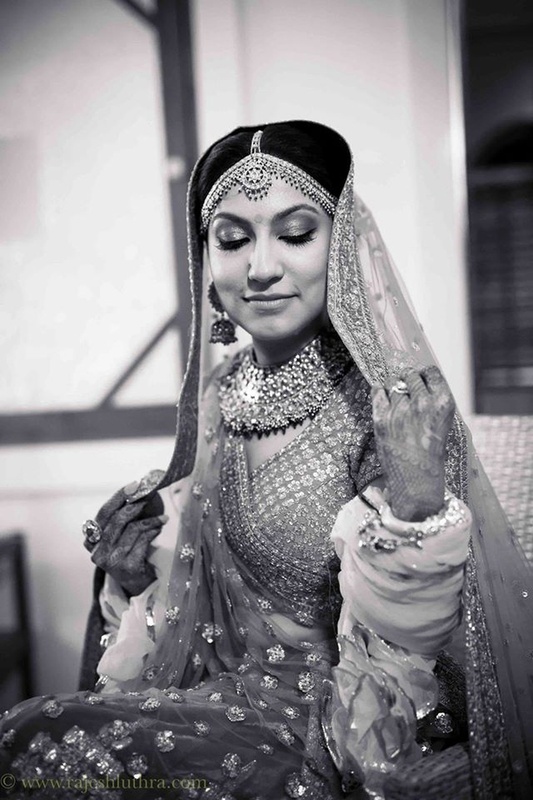 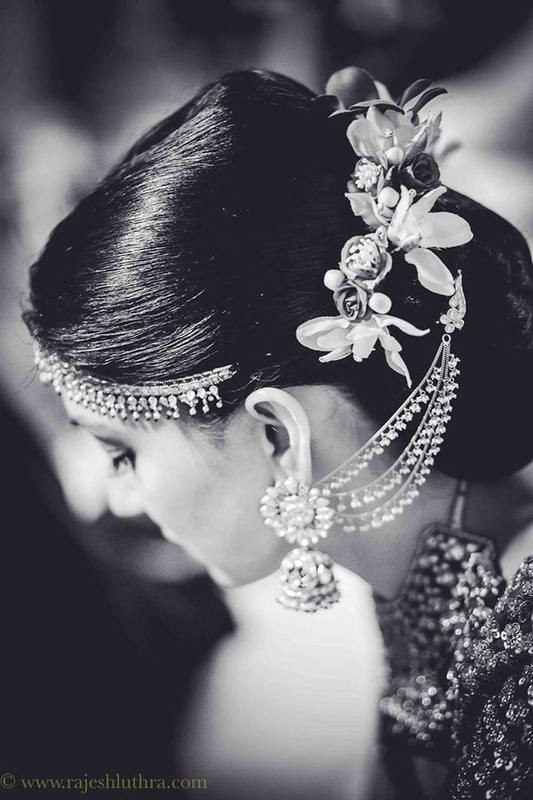 Donning gorgeous Sabyasachi creations right from the sangeet down to the shaadi. 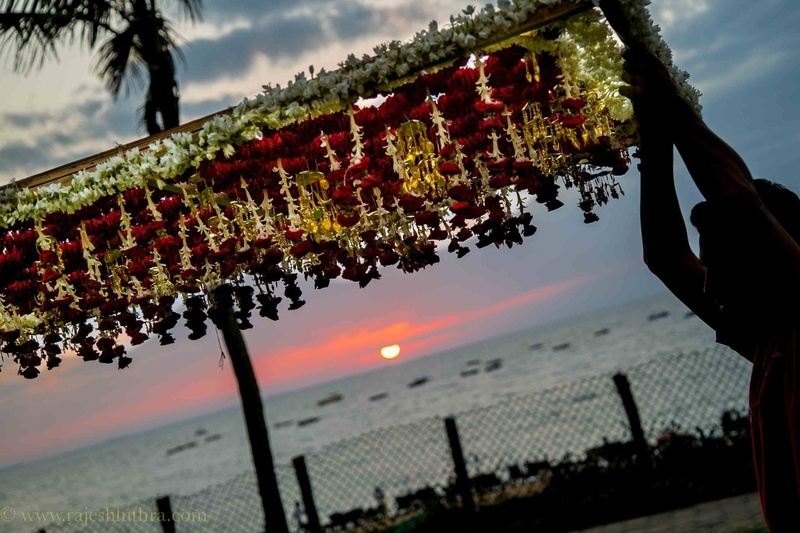 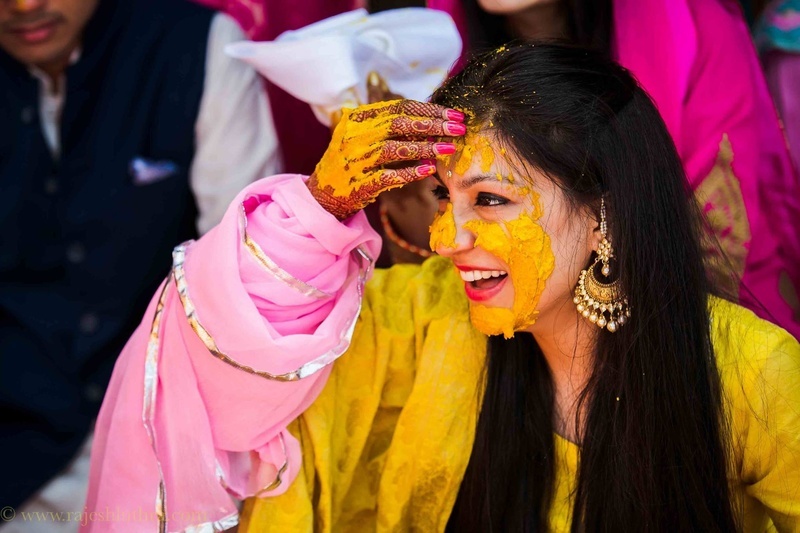 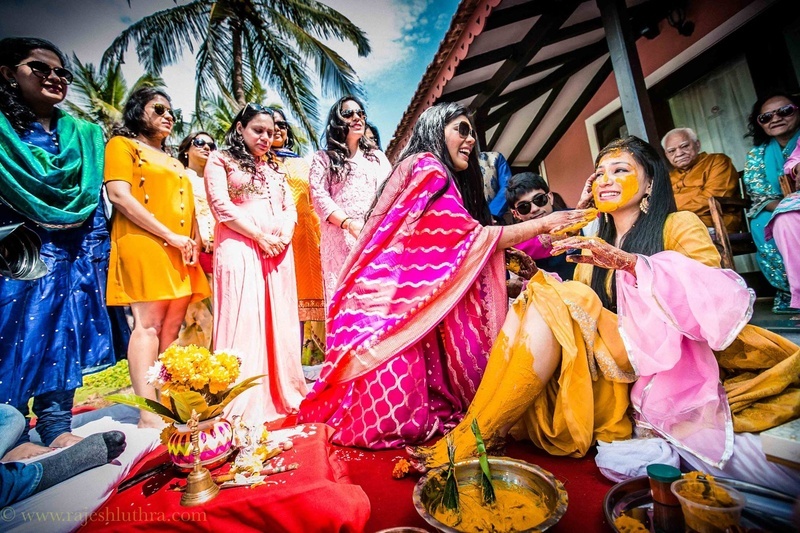 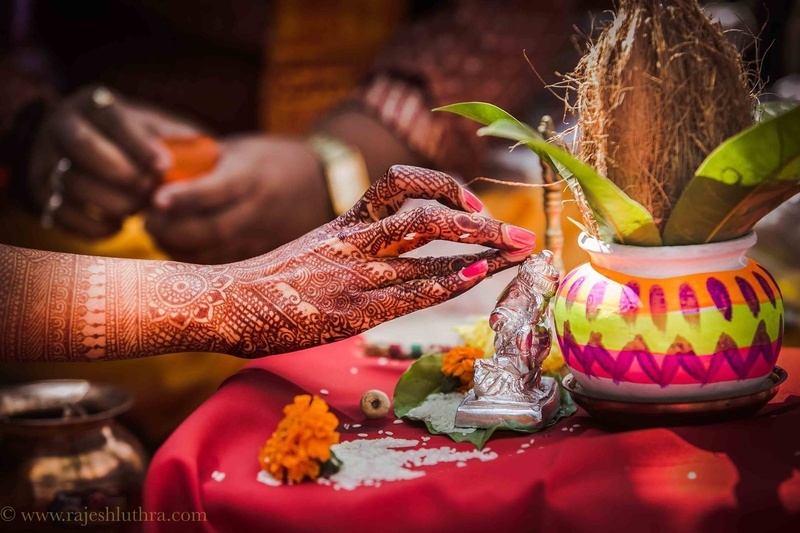 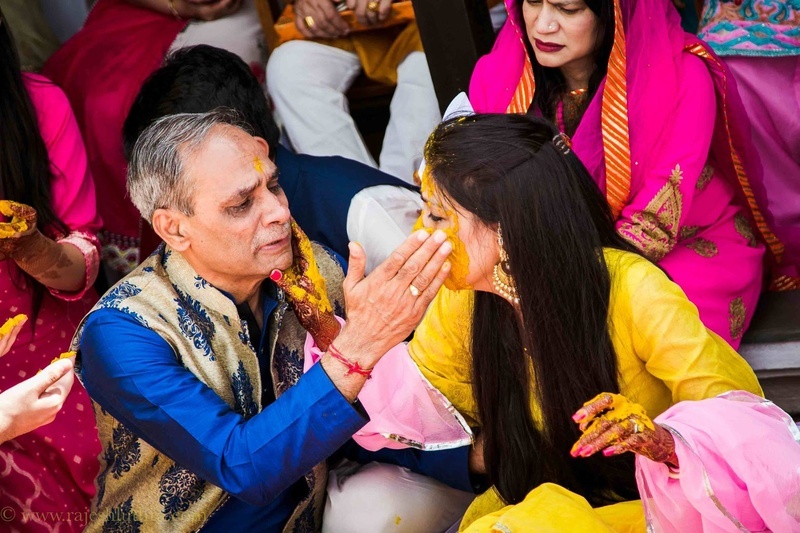 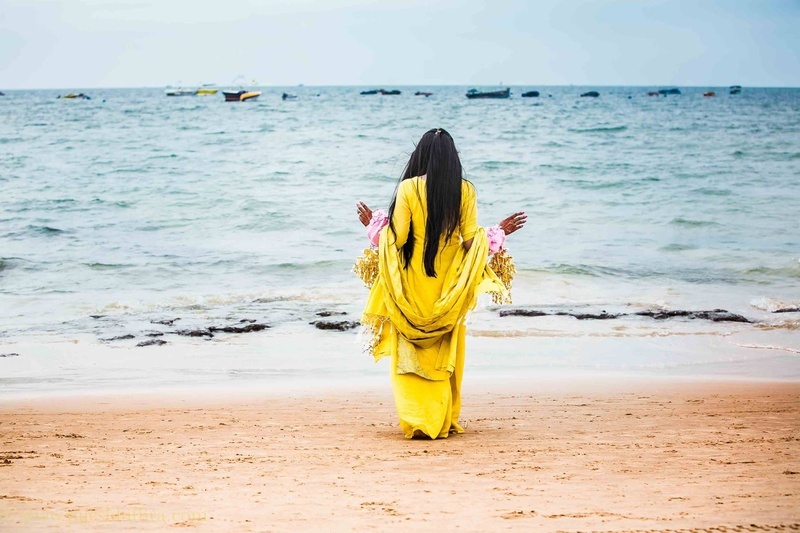 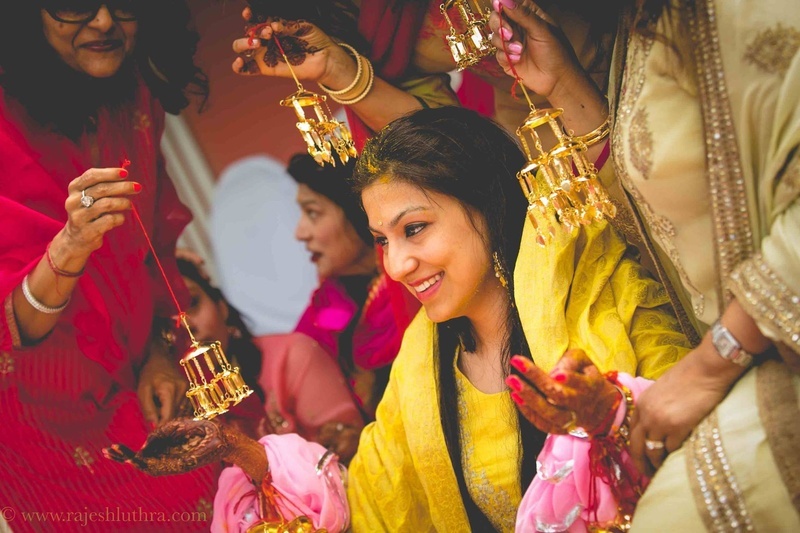 What we especially loved about Himani and Akshay’s destination wedding in goa was their use of the beach for gorgeous photos after their open air haldi-chooda ceremony! 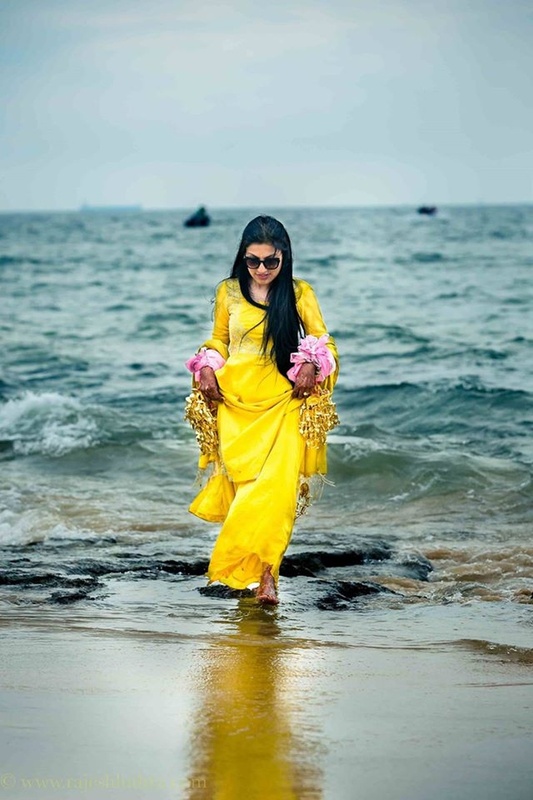 The crashing waves along with this beautiful bride in a bright yellow Patiala-kurta with the densest golden kaleere we’ve seen in a while! 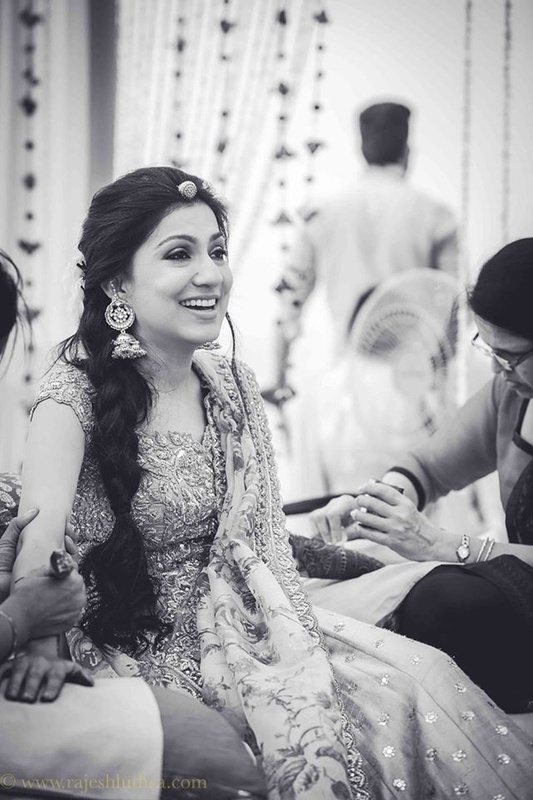 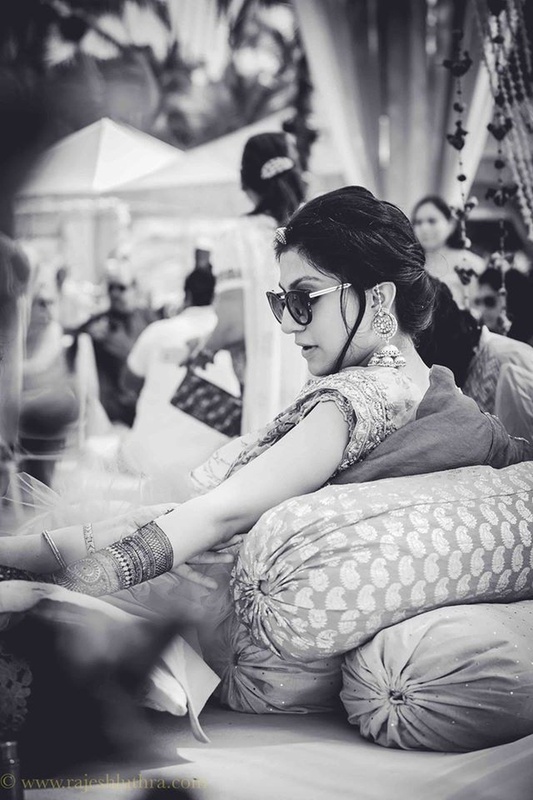 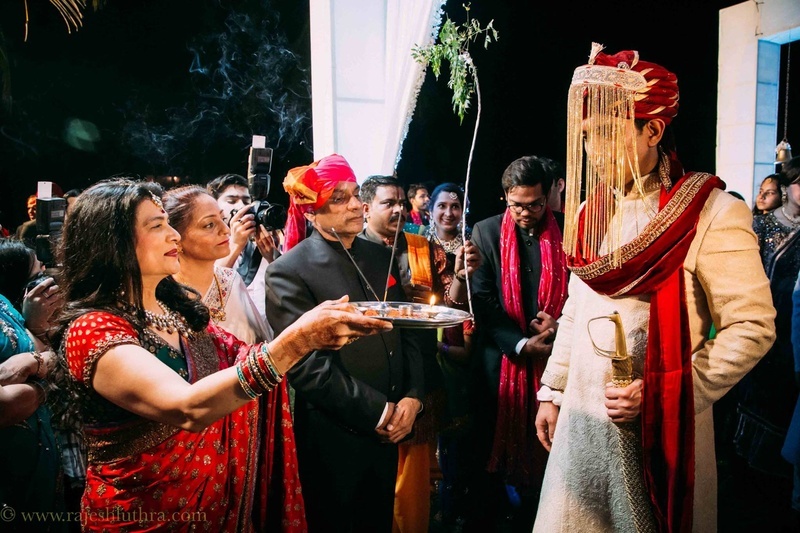 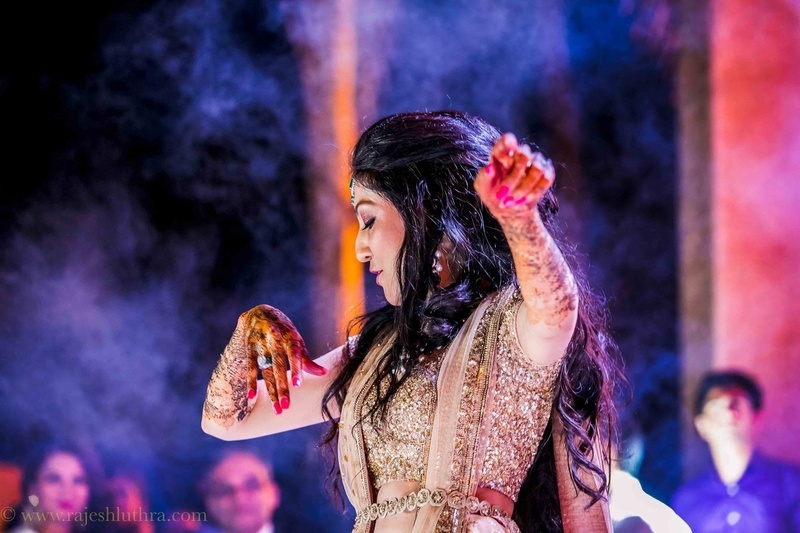 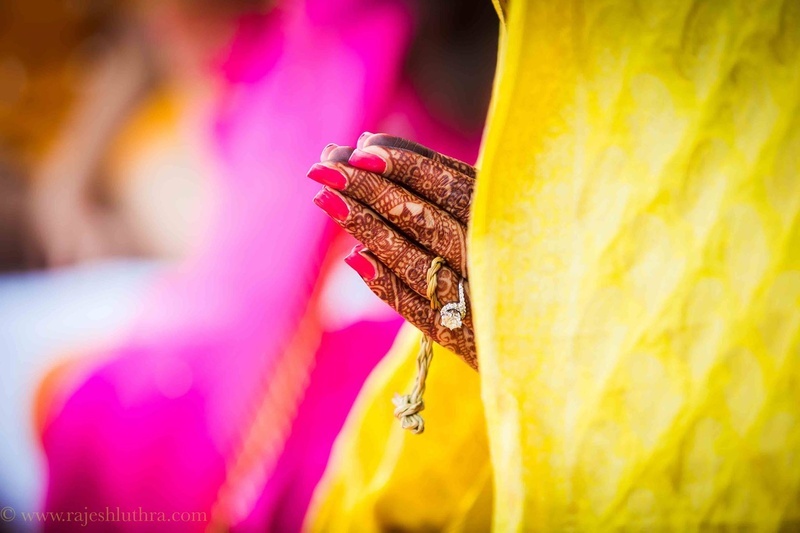 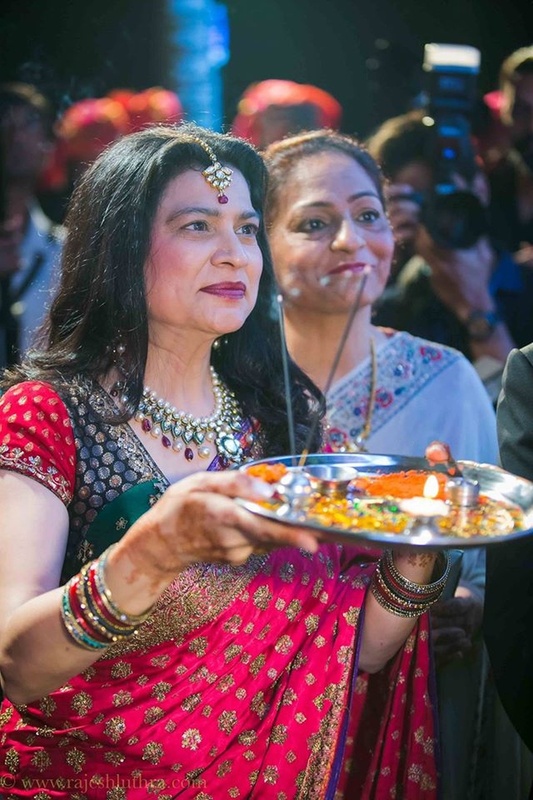 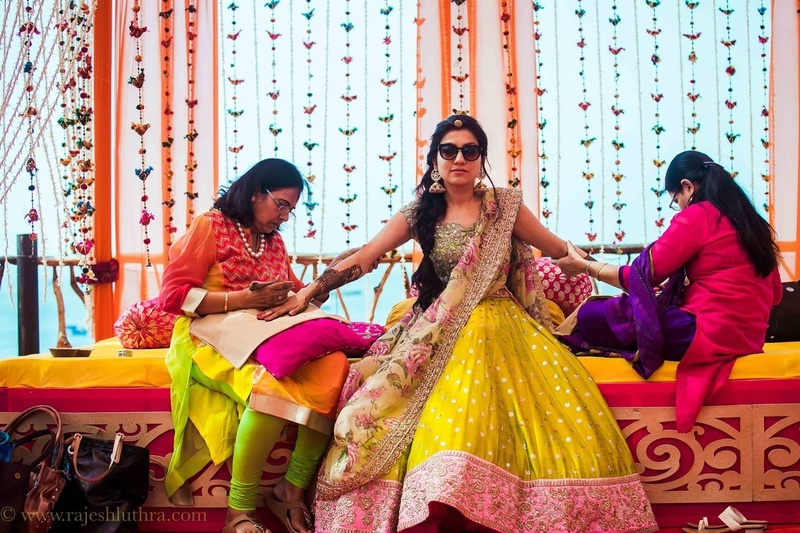 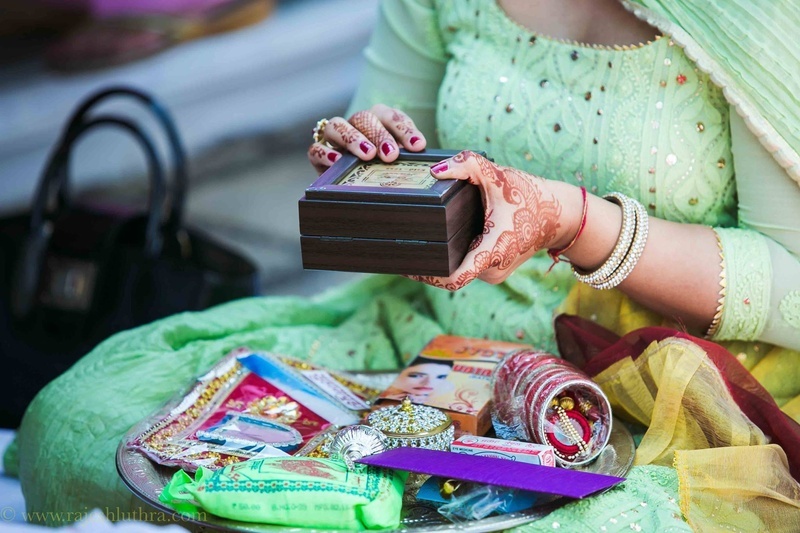 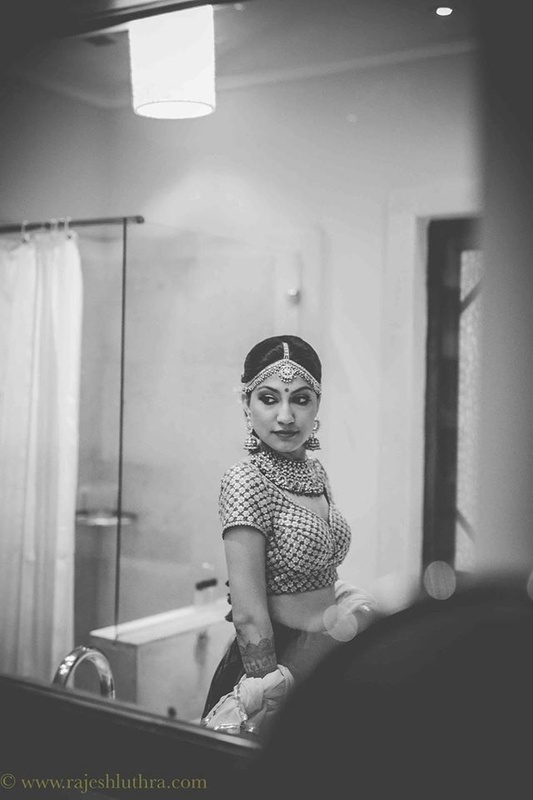 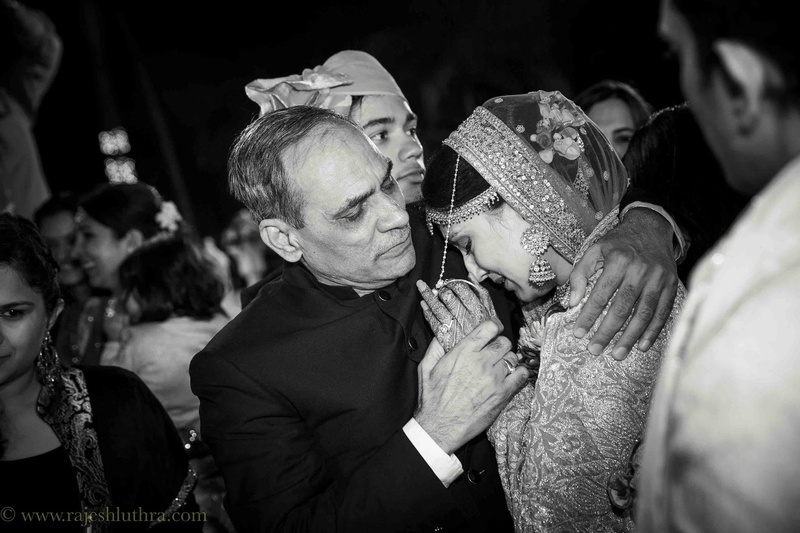 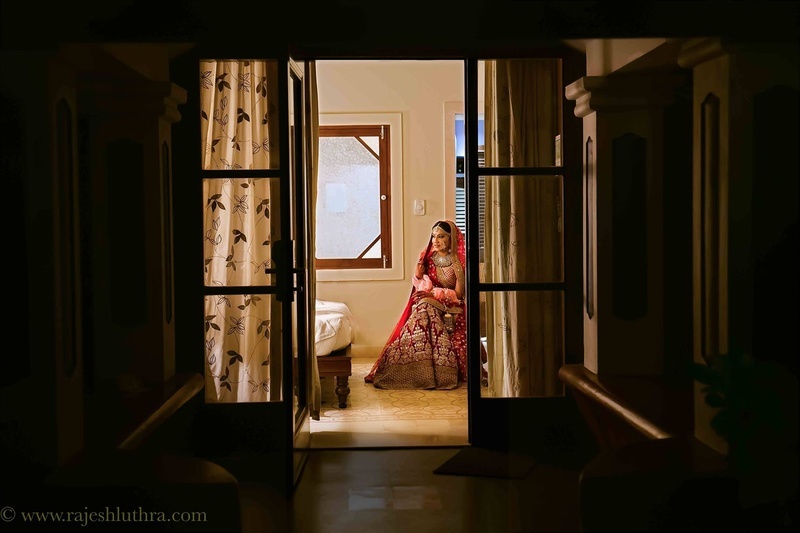 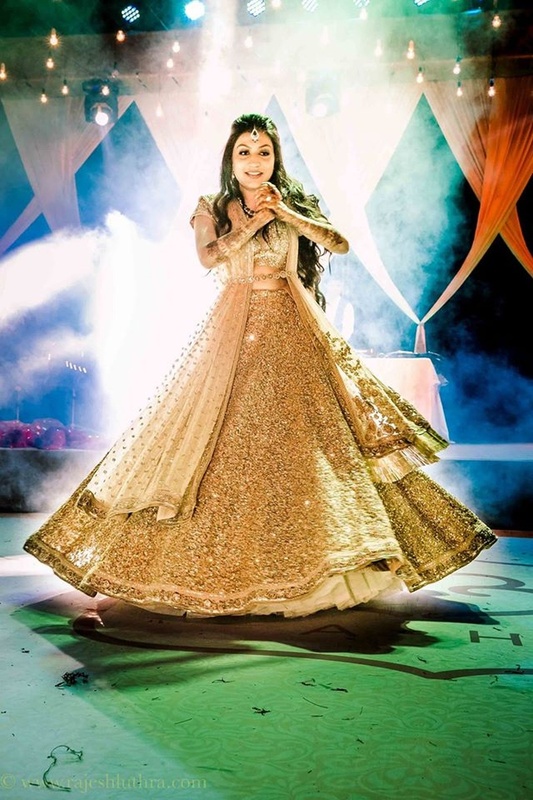 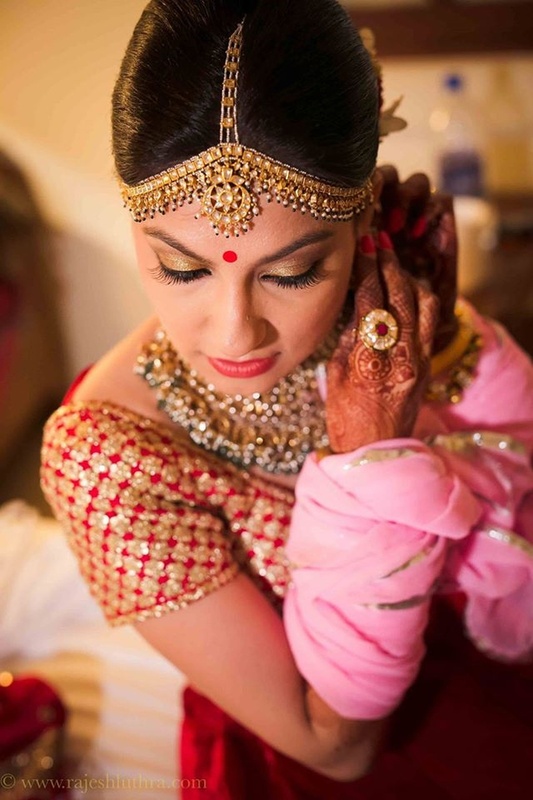 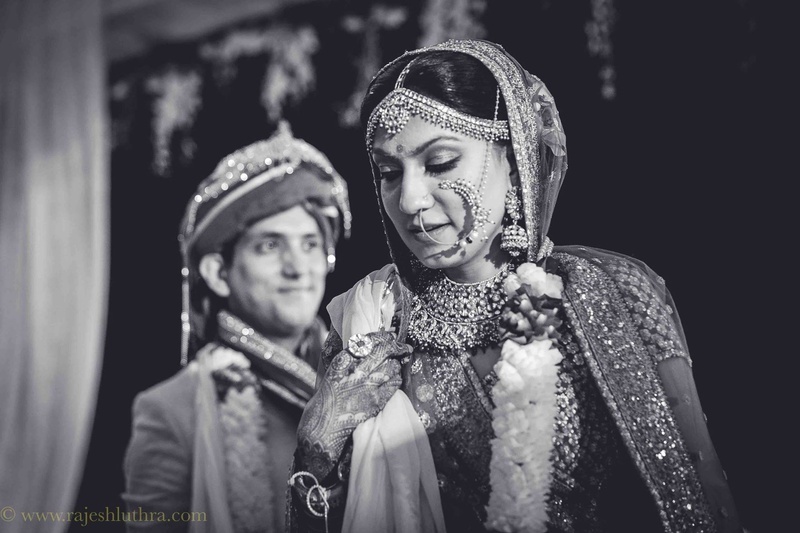 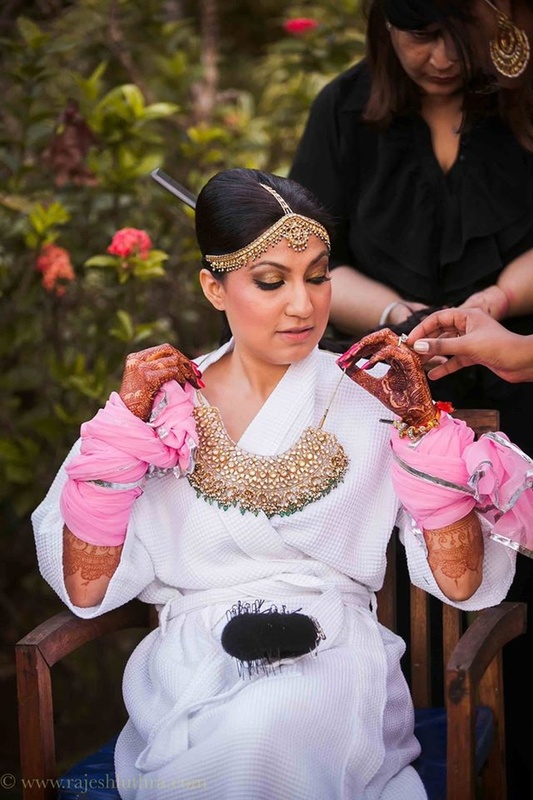 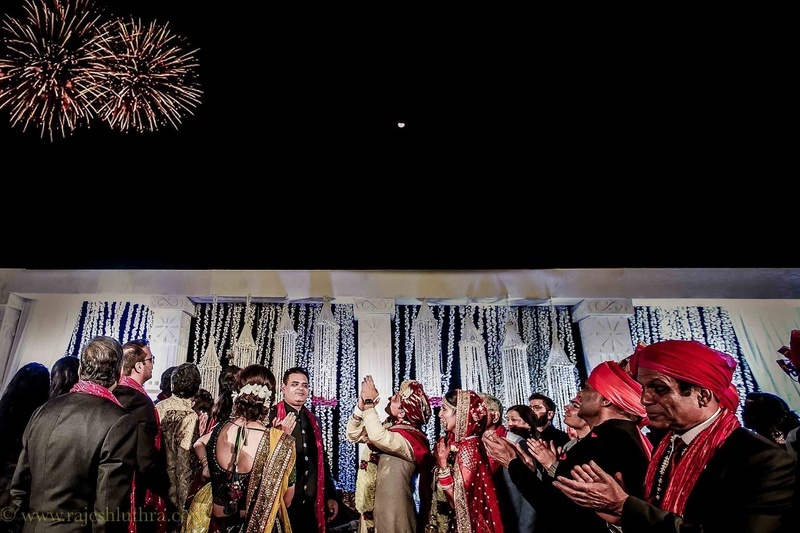 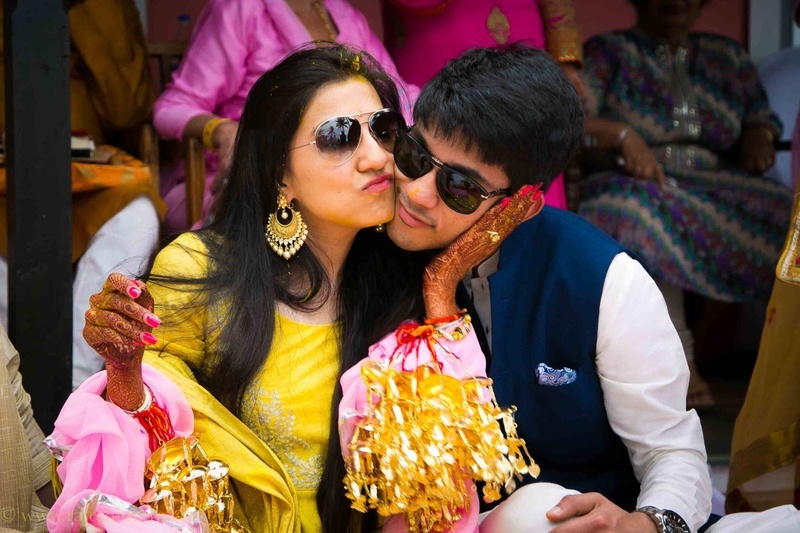 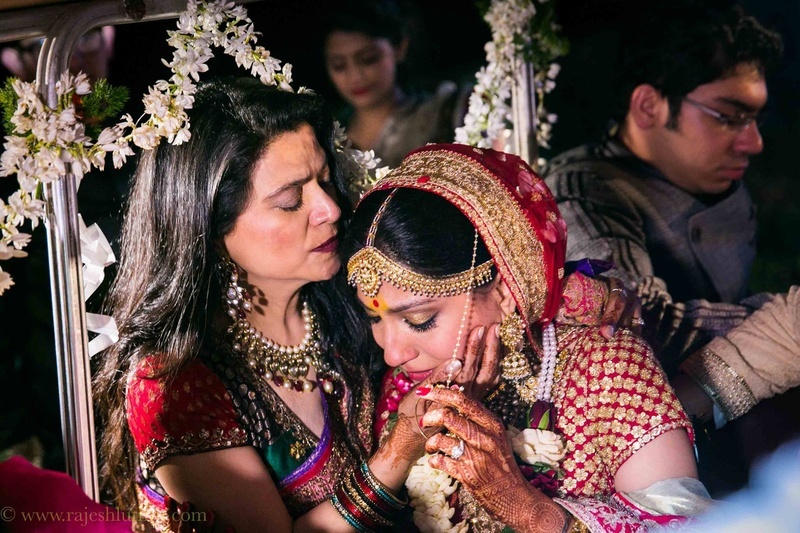 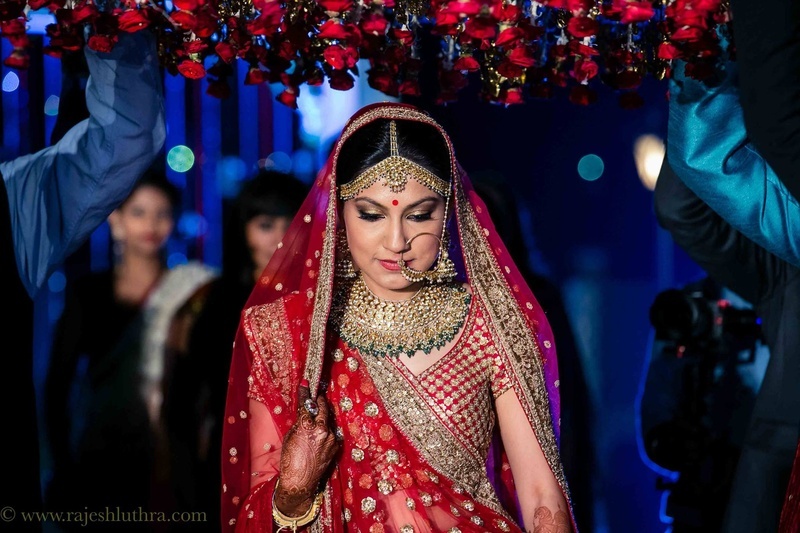 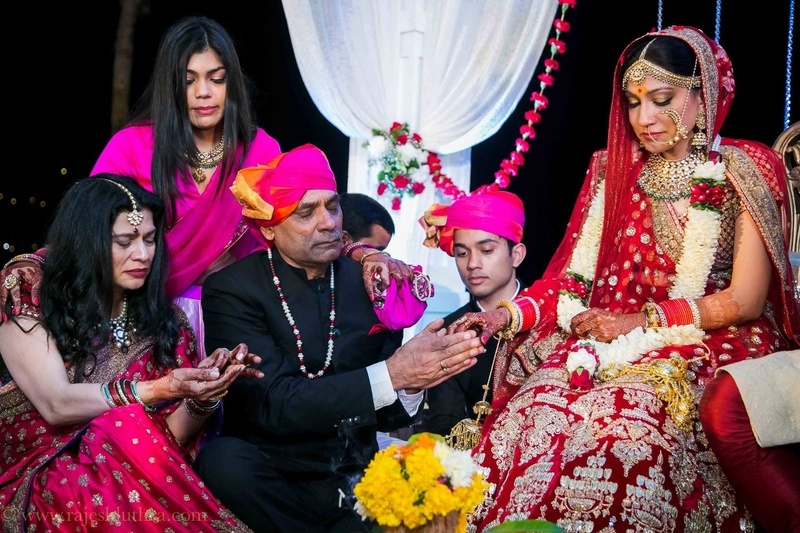 Rajesh Luthra Photography did an outstanding job in capturing Himani and Akshay’s big day – each photo is proof! 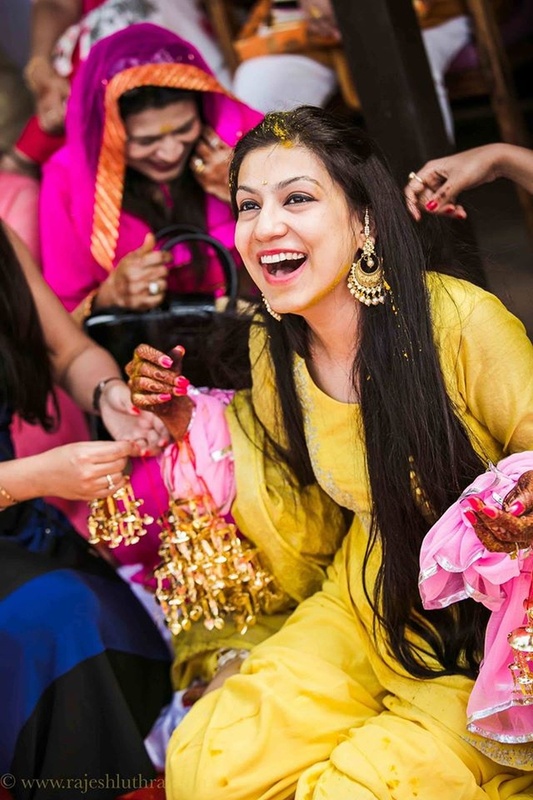 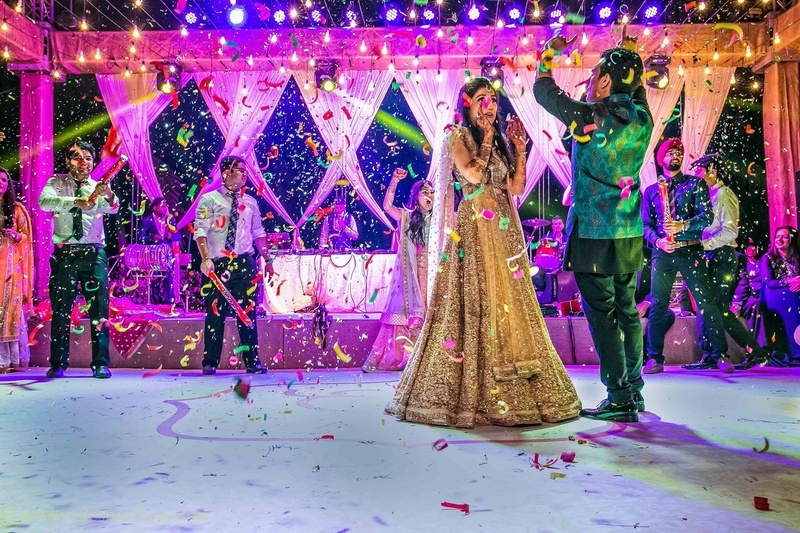 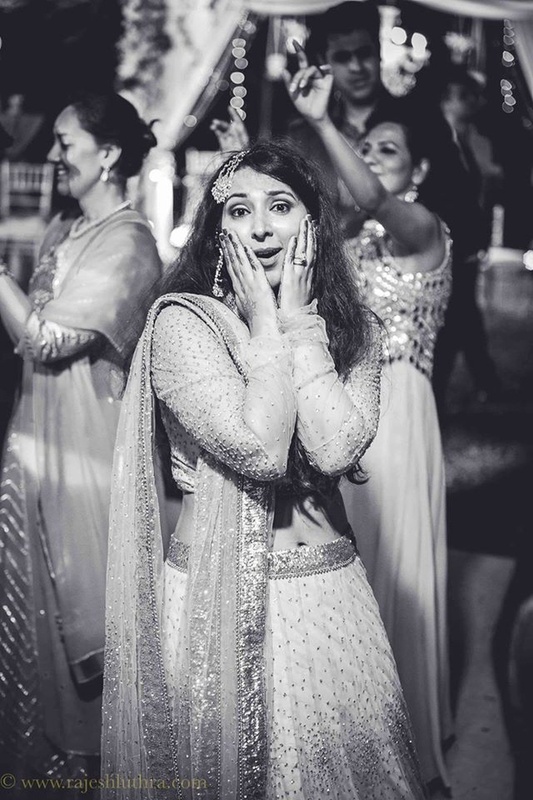 Whether it was shooting the grandiosity of their Sangeet ceremony where this duo danced beneath the open sky and colourful confetti all around or the gorg candids at the wedding – Rajesh Luthra and his team summed up each emotion felt at this destination wedding held at the Goa Marriott Resort & Spa, Panjim in each photograph they captured. 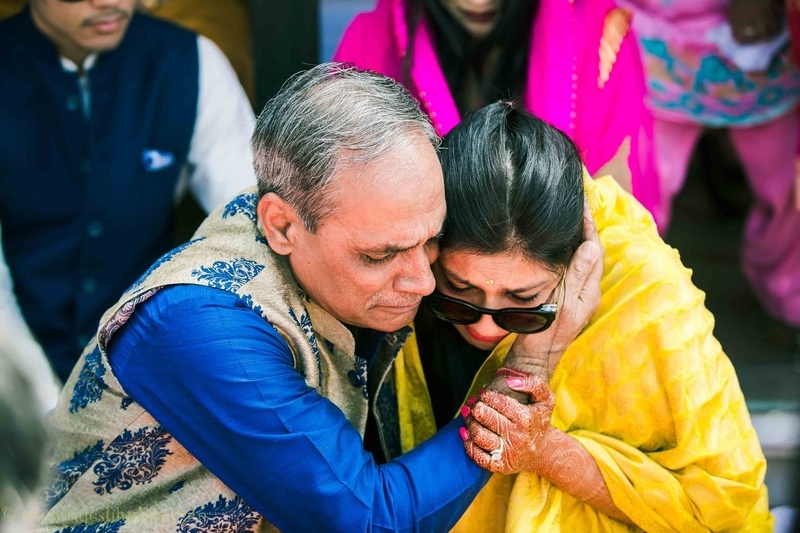 Emotional teary eyed good byes!